Together with my brother we had started an internet services company based in Tamworth. Connectivity was provided by a leased ISDN line from BT connecting us to Netkonect in London who were based at the London Internet Exchange (LINX). The connection was very expensive and ran at just 64K, which was fast at the time! 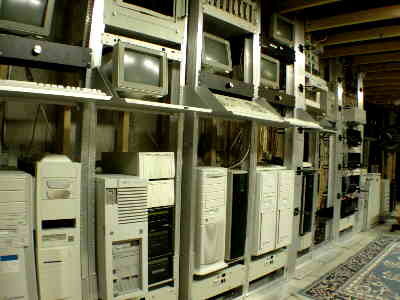 One of our first tasks was to build and configure Web, FTP, Usenet and Mail servers. Each of these was a PC based server, running Linux. This project involved familiarising myself with early versions of many GNU and Open Source packages such as Sendmail, WU-FTP and Apache.